Instant relief for sensitive and extremely dry skin flare ups. While I&apos;m thrilled temperatures are cooling down after a hot summer and warm September, I could do without the dryer air and resulting thirsty skin. 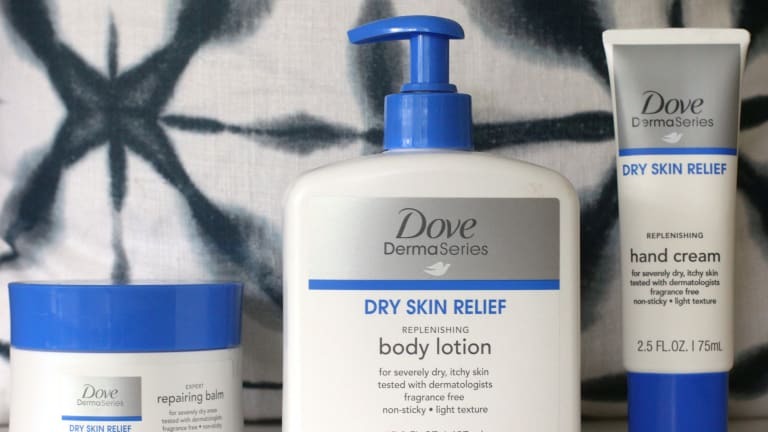 Just in time for fall, Dove introduced Dove DermaSeries, a range of hypoallergenic and fragrance-free skin care products formulated especially for the driest skin. I&apos;ve been using three products in the collection with favorable results. They&apos;re all lightweight, moisturizing, and inexpensive. Definitely pick some up and try them for yourself. Dry Skin Relief Replenishing Body Lotion $10.99 (15.8 fl. oz. ): A pump-top body moisturizer is an essential for after the shower and before bed for me. 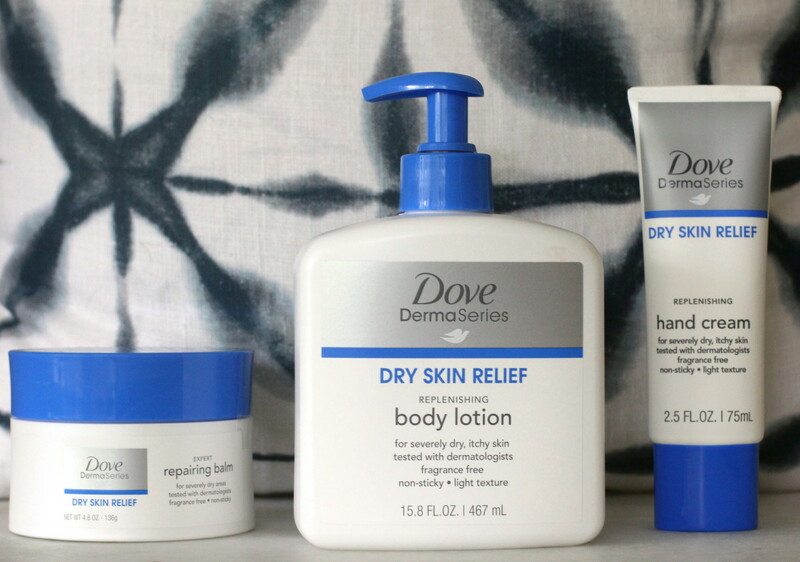 Dove DermaSeries Dry Skin Relief lotion with AminoSilk Complex and 12 HSA does the trick. It’s non-greasy and easily absorbed. 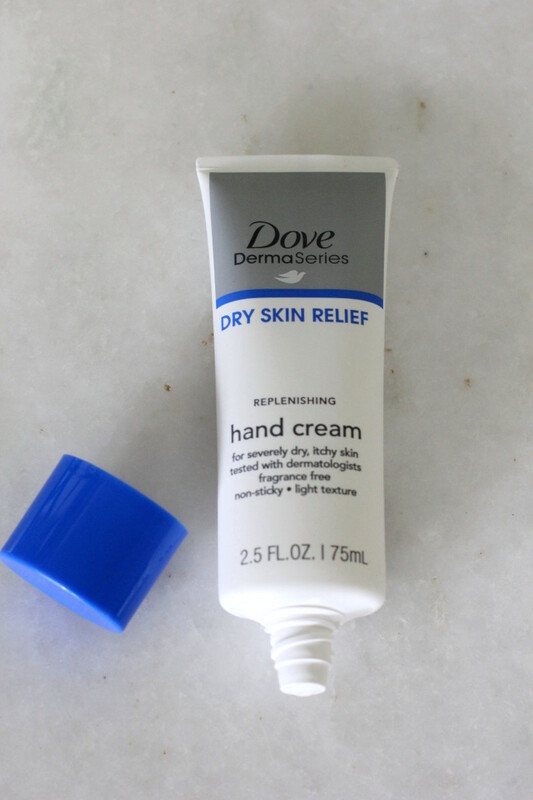 Dry Skin Relief Replenishing Hand Cream $6.99 (2.5 fl. oz.) When my hands are dry, they demand a fast-acting, fast-absorbing formula. I stash hand cream on my desk, by the sink, and on my nightstand for before bed. Dove DermaSeries replenishing hand cream has a nice finish and moisturizes without stickiness, which I really appreciate. 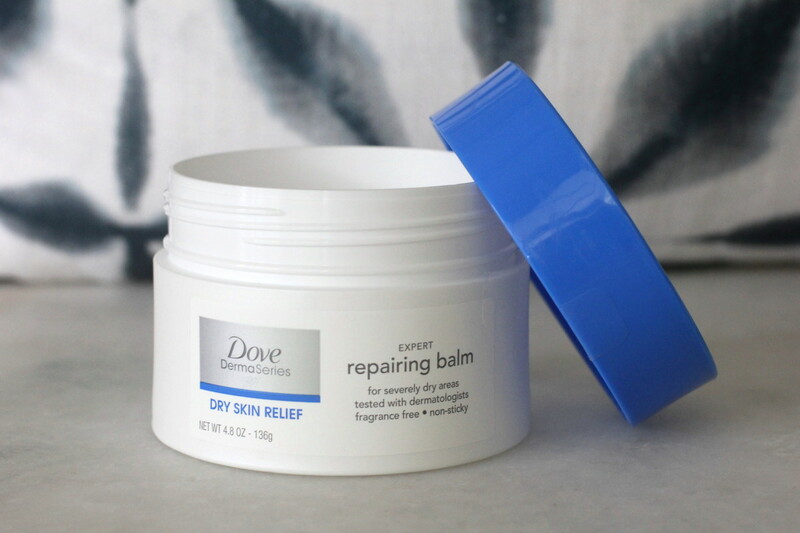 Dry Skin Relief Expert Repairing Balm $16.99 (4.8 oz.) I&apos;m not much of a balm girl but this formula is perfect for stubborn dry patches on knees, elbows and heels. Dove DermaSeries is available at mass food and drug retailers nationwide including Target, CVS and Amazon.com. For more information, please visit www.Dove.com/DermaSeries.